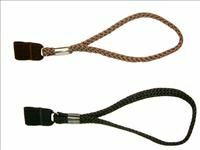 High Quality Walking Stick Soft Wrist Loop Strap. And no need to put down or drop your stick when using your hand for something else like answering the phone, or opening a door. This wrist loop for walking sticks means that your stick isn’t going anywhere that you don’t want it to! Good product, good service. Just what my husband wanted. 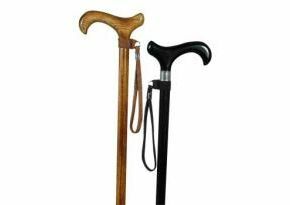 Walking stick lanyard is described as having a "hook and loop" fastening which to me means velcro. It's fastening is actually just a broad piece of elastic material in the shape of a loop. Works ok though. Brought to fit on my Wife's walking stick she is very pleased with it and stops her loosing it when opening doors. Will be ordering from this company again in the future. Thank you Alan. Good product at very reasonable price; delivered promptly. Thank you.